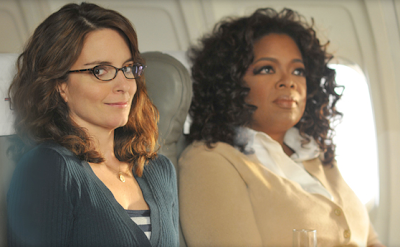 Yes, last night’s “30 Rock” was that good. Oprah Winfrey was the guest star. There were silly jokes by the dozen. With Tina Fey and Alec Baldwin cuttin’ up at the top of their game. In case you missed it, the entire episode is embedded at the bottom of this page. Yes, the episode was priceless. I think the New TV with the cable just waiting to be plugged in was perfect. This show is consistently good; and the Baldwin/Fey combination makes the show. thanks for the post. it was GREAT. NYT had a profile of tracy morgan on sunday. worth reading. it's hard to even say who is the strongest on that show, but he cracks us up. No doubt the funniest show on TV right now...probably the best one too. I would say it rivals Arrested Development as funniest show ever in it's current state. I'd never watched "30 Rock" until this post. I actually watched this episode twice. It was pretty good!